Houston isn’t the only city worth exploring around here. 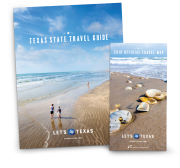 For an ambitious and absolutely worth-the-drive coastal tour that hits all the high notes, try to enjoy a variety of experiences in all the major seaside towns scattered along the Texas Coast. Plan on stopping in places like Beaumont, Galveston, Victoria, Corpus Christi, Harlingen and Brownsville for a well-rounded taste of everything the region has to offer. Beaumont got its start as an oil town over a century ago when the Spindletop oilfield erupted with a colossal gusher. Get a deeper look into the town’s history, including a watery re-enactment of that massive gush, at the Spindletop-Gladys City Boomtown Museum and the Texas Energy Museum. While you’re in town, retreat into nature at Tyrrell Park, where there are ample opportunities for birding and wildlife watching at the High Island Nature Sanctuaries and the Cattail Marsh . Then, get an eyeful of live gators at one of the state’s alligator theme park—Gator Country Adventure Park—where you can learn about their species and habitat. Southwest of Beaumont, you can walk the beaches of Galveston, traversing territory originally settled by one of the most famous pirates in American history - Jean Lafitte. As the island’s popularity grew, it eventually became one of the busiest ports west of New Orleans, but its claim to fame didn’t last long. In 1900, the island was devastated by a hurricane. Its fighting Texas spirit couldn’t be stopped though, so naturally the locals rebuilt. By the time Galveston’s port reopened, Houston had already built its own ship channel and taken over many of the incoming routes. Today, you can disembark on any number of luxurious cruises from the Port of Galveston – or you can stick around to enjoy local attractions, including everything from ghost tours and The Strand to Moody Gardens’ theme park and the Galveston Island Historic Pleasure Pier. Keep moving right on down the coast and a little inland from the beach to find the humble city of Victoria. Thanks to the Victoria Trail Through Time driving tour, you can discover its history without leaving the car. Then, spend a little time at the Five Points Museum of Contemporary Art and the Children’s Discovery Museum of the Golden Crescent for some afternoon enrichment. And before you skip town, take your taste buds for a joyride on the Great Coastal Texas Barbecue Trail and to Fossati’s Delicatessen, the oldest deli in Texas. 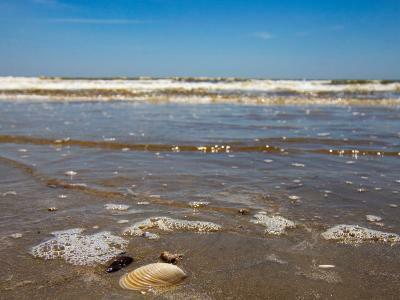 Then, cruise down to Corpus Christi to learn about life along the Gulf. There, you can explore the unexpected history and culture of Texas surfing at the Texas Surf Museum. To bring a layer of enchantment to your coastal experience, visit the Texas State Aquarium. Its Caribbean Journey exhibit features vibrant coral reefs, majestic sandbar sharks and many other awe-inspiring elements of Mexico’s Yucatán Peninsula. You can also ignite your sense of wonder by exploring native flora and fauna at the South Texas Botanical Gardens & Nature Center, where you can break out the binoculars on a snippet of the Great Texas Coastal Birding Trail. If you don’t have time to stop at the Great Texas Coastal Birding Trail in Corpus, don’t fret – there are plenty of trail stops scattered along the coast, even as far south as Harlingen and Brownsville. Birders may even find a few avian friends for their life lists, with some birds traveling no further into the United States than the Rio Grande Valley. In the Brownsville area, you’ll find two birding trail destinations – the Sabal Palm Sanctuary and Resaca de la Palma State Park (which is part of the World Birding Center). Then, at the Gladys Porter Zoo, you can slow down a bit and delight in special interactions with the aquatic animals of South Texas, including touchable stingrays. Other unique ways to experience the zoo include a ride on the Safari Express and participating in the Giraffe Landing Feeding Experience, where visitors can see the reticulated giraffes up close and feed them treats. 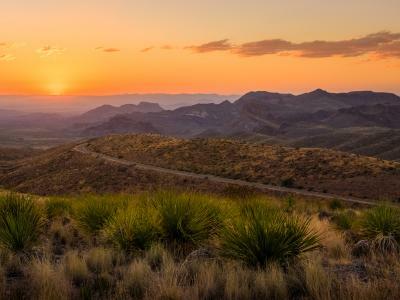 From top to bottom, the beachy curve of Texas’ coastal region is filled with unique experiences to enjoy and treasure.